The closest replacement to your natural teeth. In our Prosthodontics specialty practice, we are experts both in restoring dental implants and placing implants. 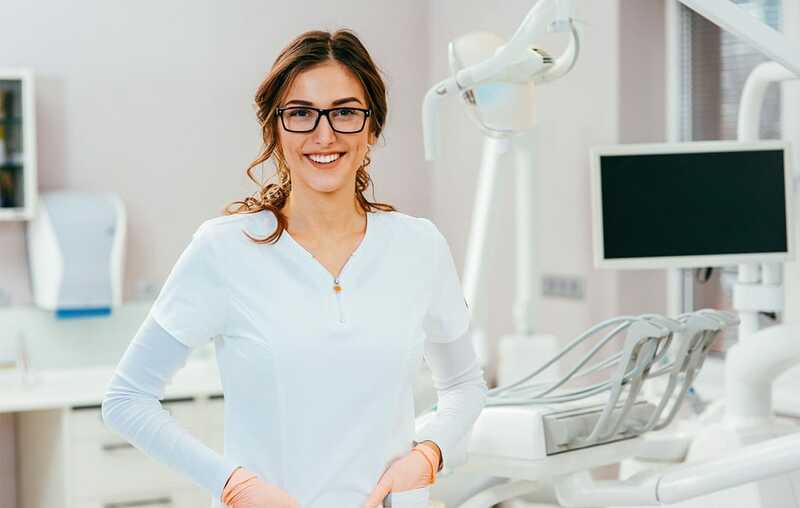 Some reasons as to why you might need an implant or an implant restored could include: you have missing teeth - whether due to a trauma or a genetic condition, you have cracked teeth, or you're in need of more complex full mouth reconstruction. Most importantly, our implant solutions are designed to give you the best possible outcome - both cosmetically and functionally. A crown is a covering or cap that goes on top of your existing tooth or implant.
. You have a tooth that is broken or cracked.
. You have a large cavity (carie) which needs to be replaced with a crown as your existing tooth structure is insufficient.
. You had a root canal and the tooth now needs a crown post-treatment.
. To cover a discolored or not esthetically pleasing tooth. At your initial consulation, our Prosthodontists will evaluate the types of crowns that you may require, ensuring that they are customized for the specific needs of your mouth. A crown can be made of a variety of materials and this also will be discussed at your appointment. A thin covering custom-made to fit over the top of your teeth.
. Teeth which are discolored or stained to the point where tooth whitening can no longer help.
. Chipped or worn teeth (this can occur as the result of an accident).
. You have uneven spaces or gaps between your teeth which are not aesthetically pleasing.
. Crooked (malposed) teeth that are unable to be fixed. Veneers are made with different types of porcelain, and your Prosthodontist will make a recommendation after an evaluation. Get your teeth their whitest in a safe environment under the supervision of your Prosthodontist. While you may be familiar with the whitening kits sold in your local pharmacy or drug store, we are proud to be one of the only practices in the Greater Rochester area to have the patented GLO whitening system. Utilizing a whitening system designed by a Prosthodontist, GLO uses a combination of heat and hydrogen peroxide to provide maximum whitening outcomes with the least amount of sensitivity post-treatment. Under the supervision of your Prosthodontist, the GLO whitening system is 2-3 times more potent than products found over-the-counter. Prosthodontists are the leading dental specialists in fabricating complete dentures. Dentures are prosthetic teeth that can be removed at night or when cleaning is required. Creating your best smile today. One of the first things that other people notice about us is our smile. From a simple tooth whitening to a complex full mouth reconstruction, Dr. Carranza & Dr. Soltys are experts at creating transformational smiles. Schedule an appointment for a consulation with our Prosthodontists today in order to achieve your best smile.